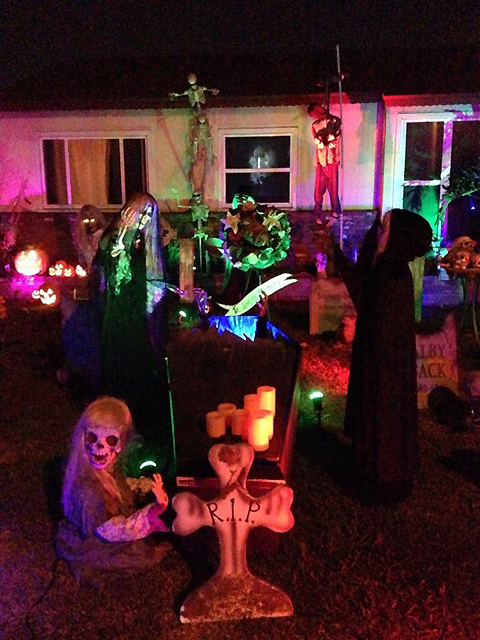 2018 Dates: October 27 & 31 walk-through and yard display; October 28th yard display only. 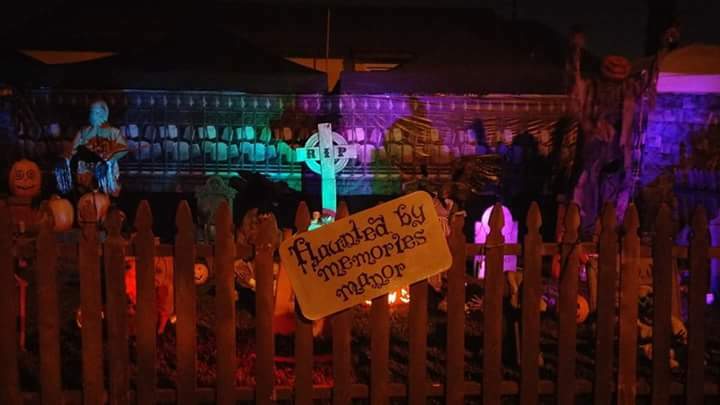 This Halloween, Haunted by Memories Manor movies to a new location (across the street from the old location), where it presents a shorter walk-through haunt and a Wedding Yard Display theme (in honor of of the owners' recent nuptials). 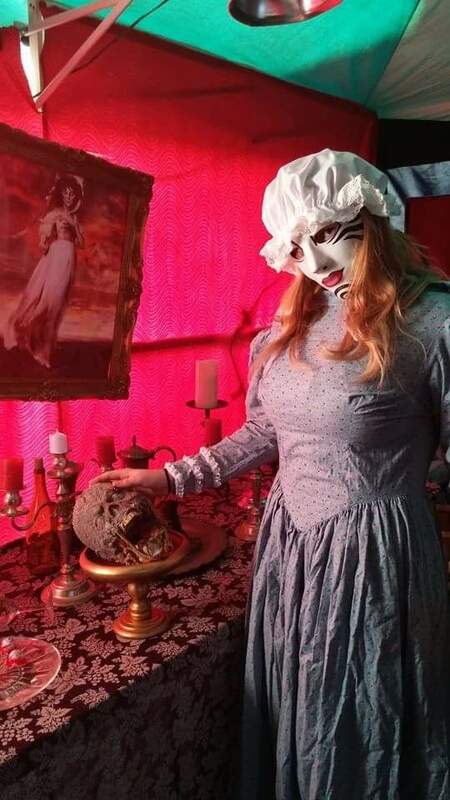 Check out our archive for Haunted by Memories Manor. 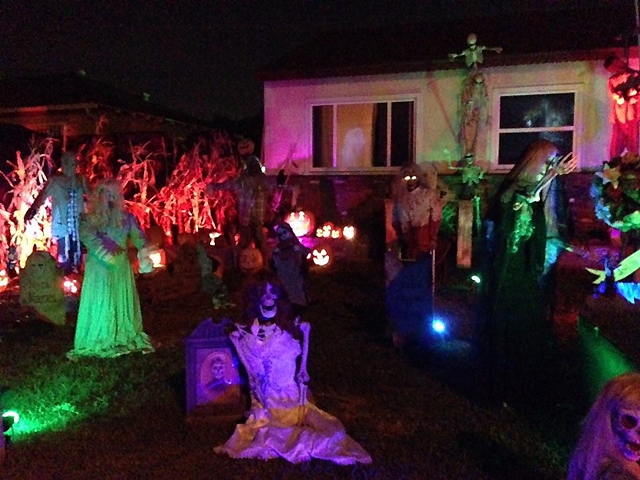 After cutting back to a yard display in 2016, Haunted by Memories Manor has announced that it will resurrect its walk-through for Halloween 2017. 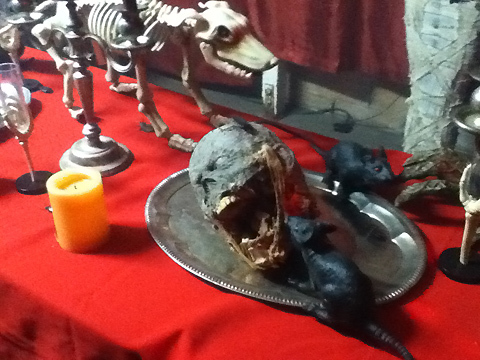 The proprietors had been considering a switch to community haunt, perhaps in the local church, but it appears they will be haunting their home once again. 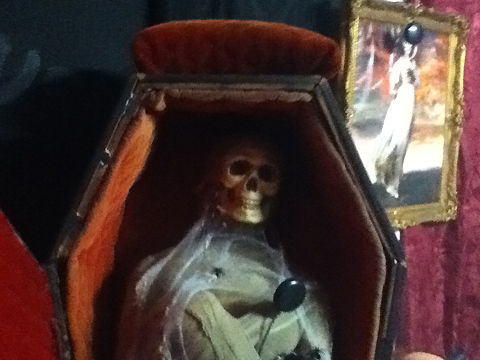 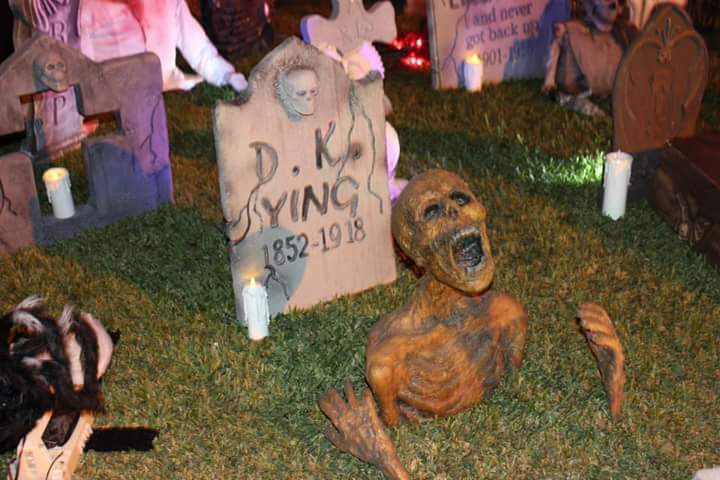 This home haunt features home-made grave stones, some digital effects, and live actors. 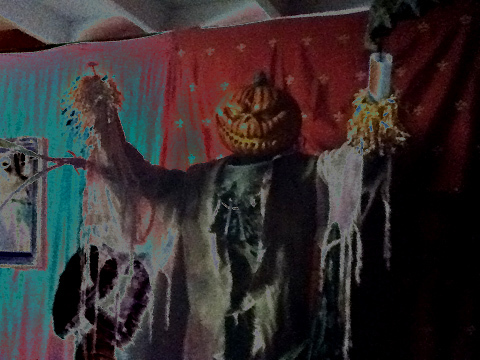 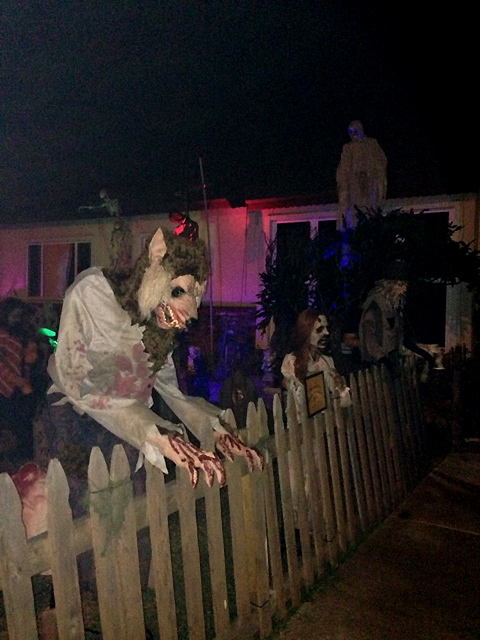 Decorations include singing Jack O’Lanterns and several animatronic figures: a coy werewolf who moves only when least expected; a masked madman raising a severed head; and a “walker” using a walker – i.e., a groaning zombie torso holding itself up by its hands, poised awkwardly over the metallic device. 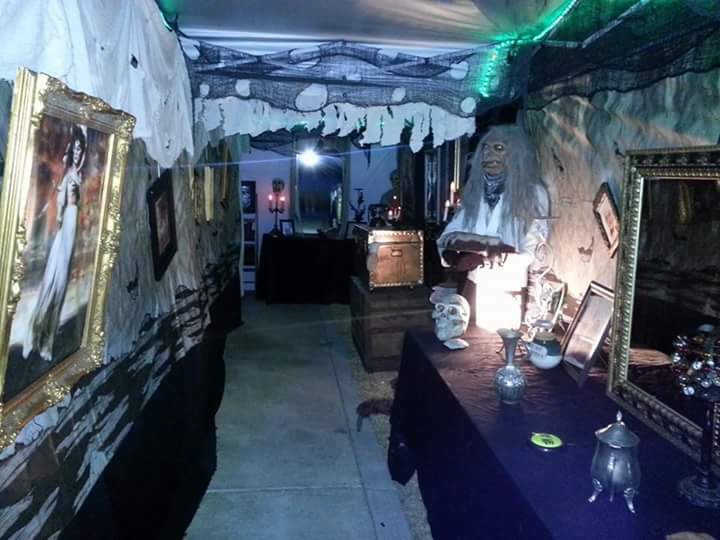 The walk-through features “stone” columns leading into a garage transformed into a lair, filled with ghoulish props (including a real bat and a rat, both dead) - the perfect abode for the witches, vampires, and other fiends. 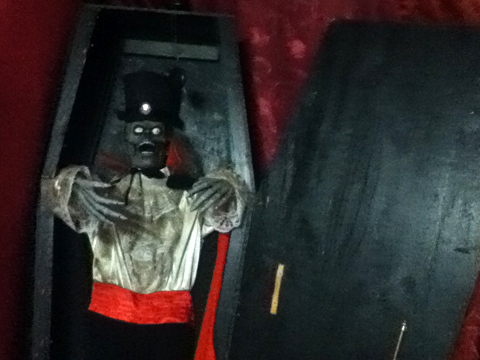 Haunted by Memories Manor is free; however, the haunt accepts donations for charity. 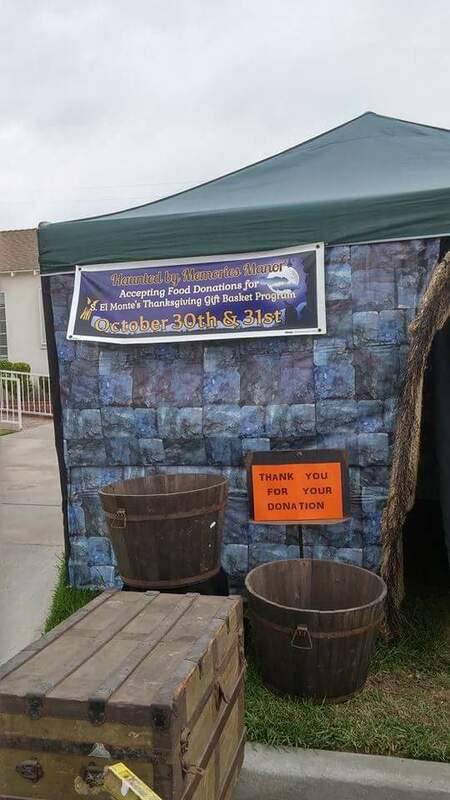 Donated food items will be distributed for Thanksgiving. 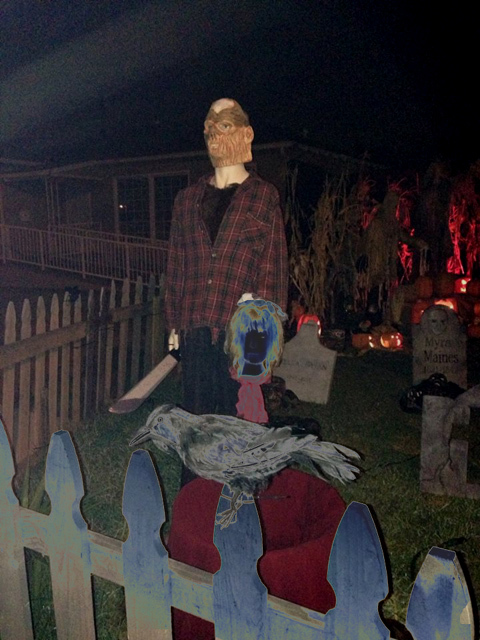 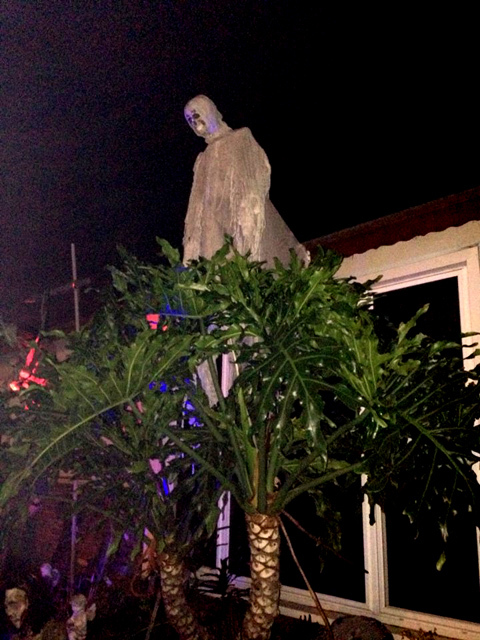 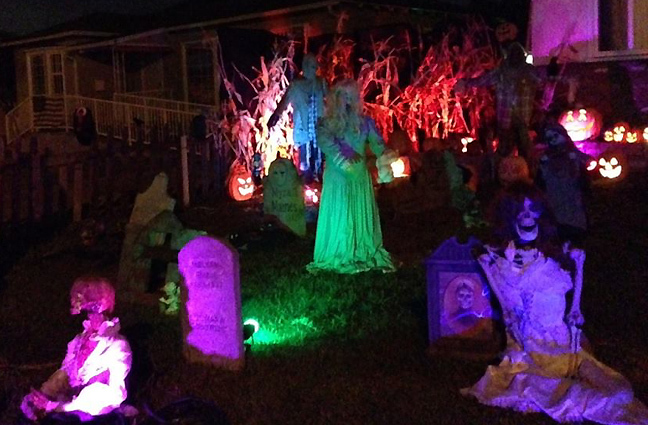 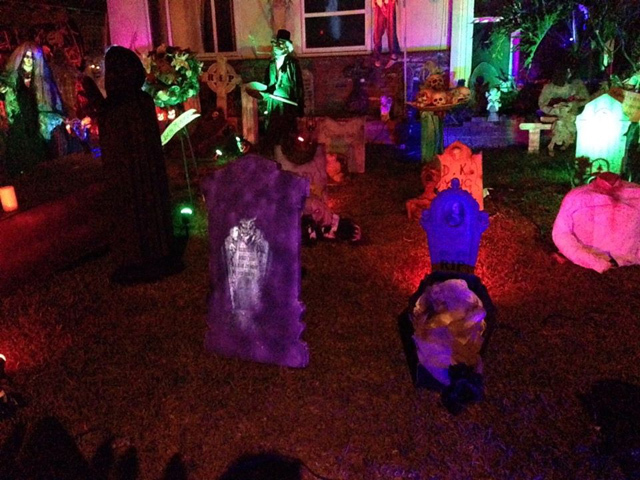 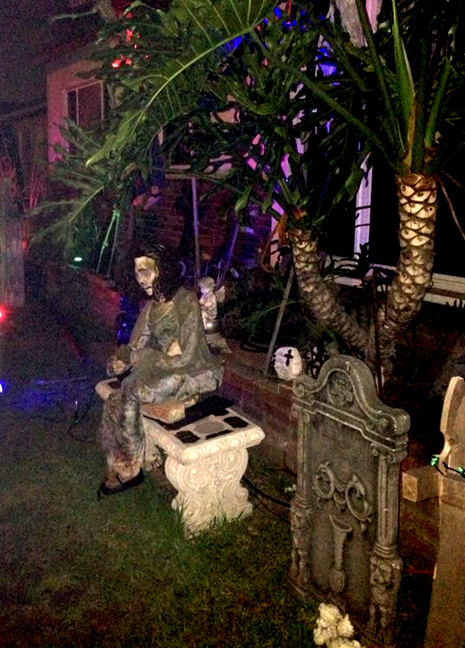 Impressive yard display featuring home-made decorations, plus a scary walk-through lair.